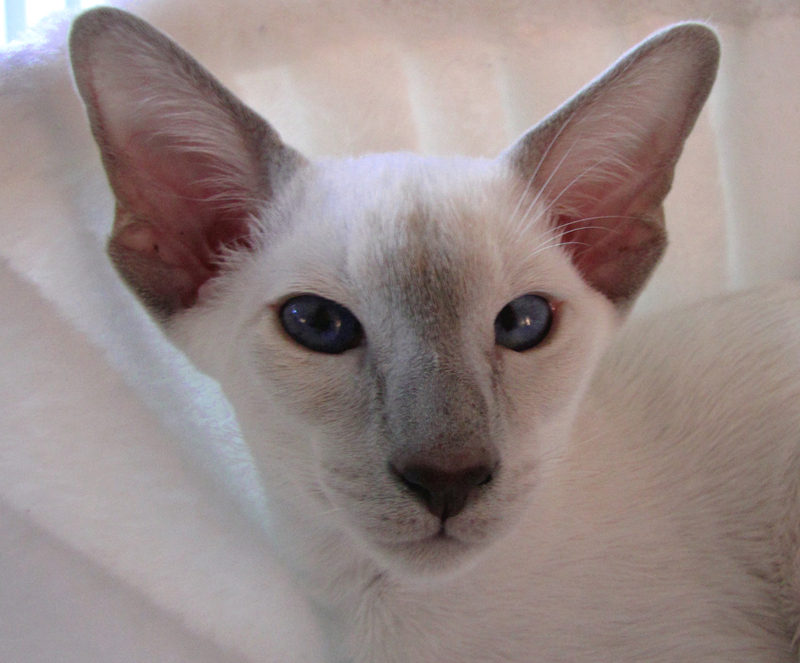 One of the lilac point boys, our little Antoine, was the first to move. He went with his new matte Agneta and her son Josef, who came to get him, all the way to Luleå (800km from Stockholm)! Being our most talkative kitten (the lilac ones are real talkers), he had a lot of opinions during the travel, but after Uppsala he complained only when Agneta was changing the speed. Frasse is a real friend; he caught a mouse (a real one!) as a present for Antoine and is trying to get him to follow outside, but Antoine is too young for that. 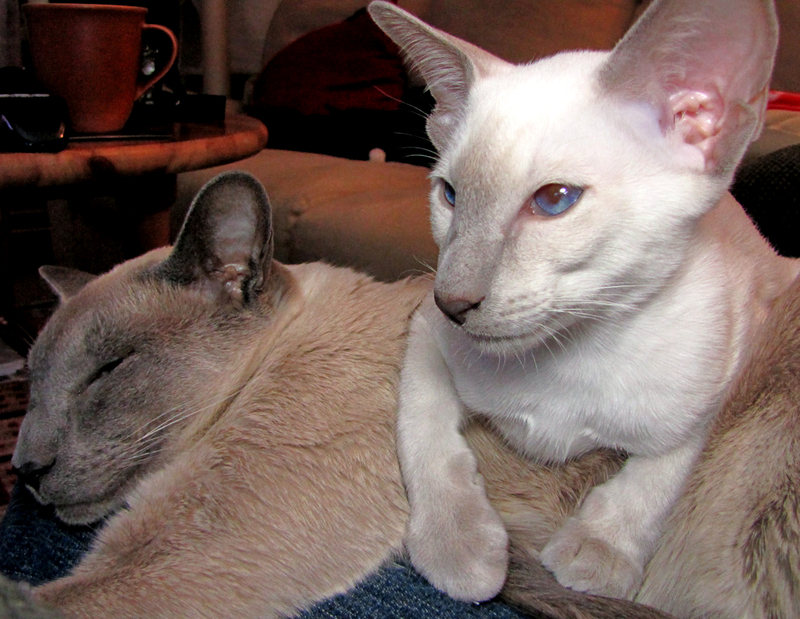 Antoine talks when he wants something and when he visits the litter box, likes to lie in his matte‘s lap and is social with visitors. At first he sits still and observes them when they arrive, then he goes forward and greets them and socialize. He even falls asleep in their arms sometimes. Antoine’s pet name has not been decided yet, he is called mostly Tjabo or KomKom for now. Here is a picture of Antoine taken on August 27th. He looks a lot like Jossan when she was small, but I think he will have more space between his ears, and they will be more open in the base. But the nose, eyes, chin, the whole face and the body lengths are exactly like his mom’s.